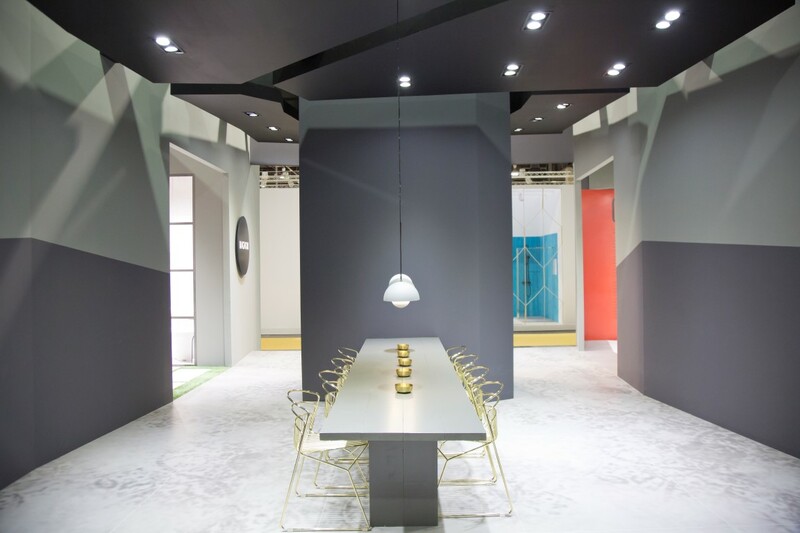 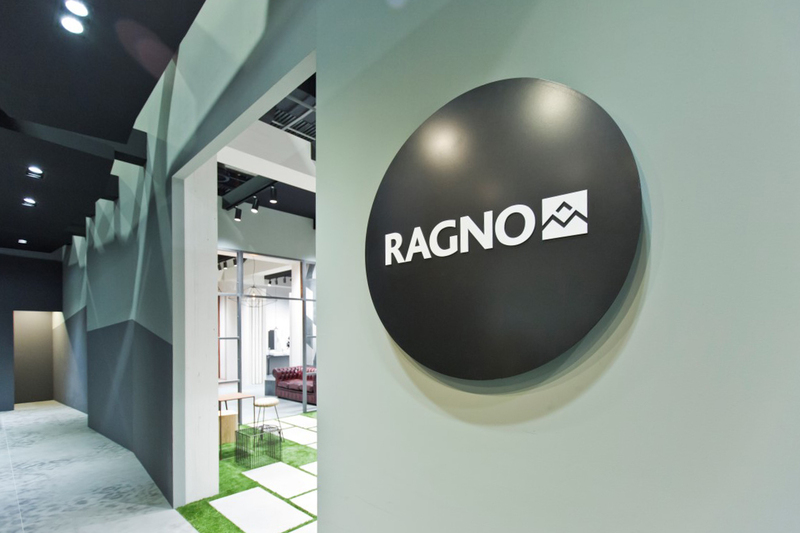 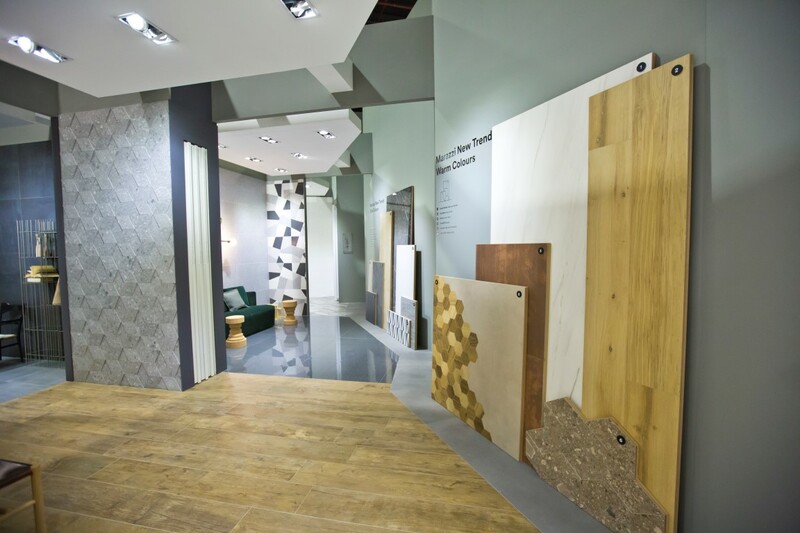 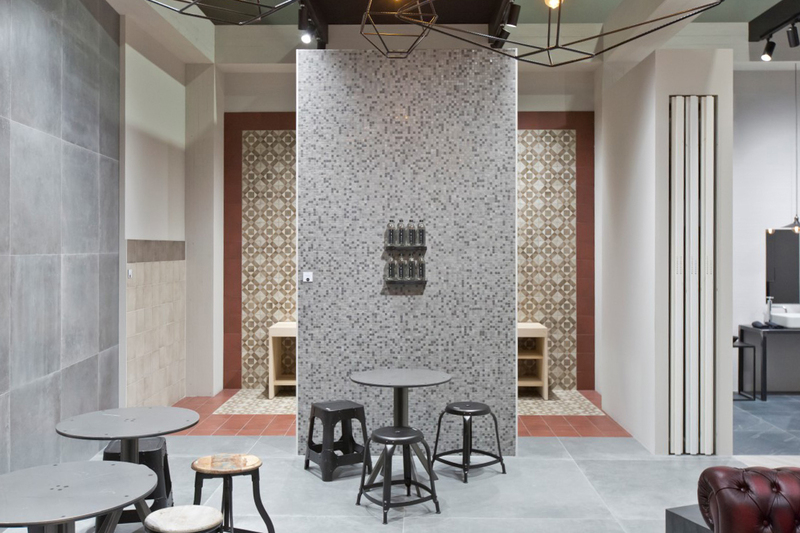 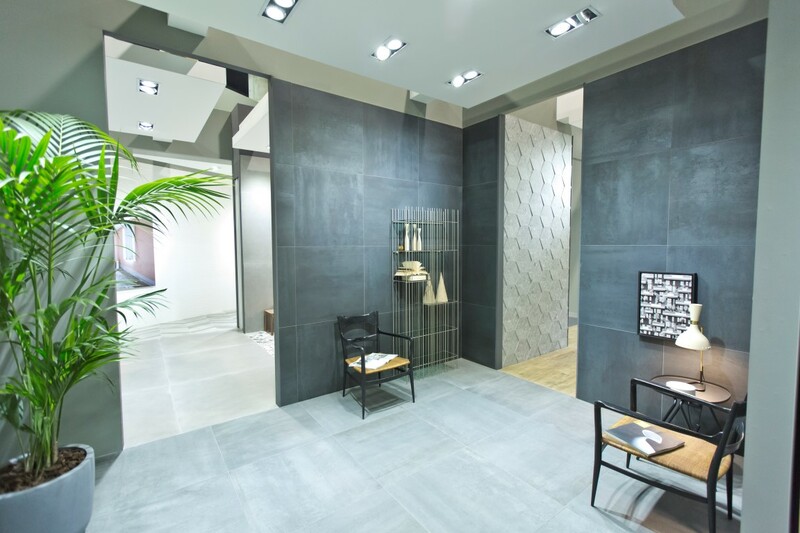 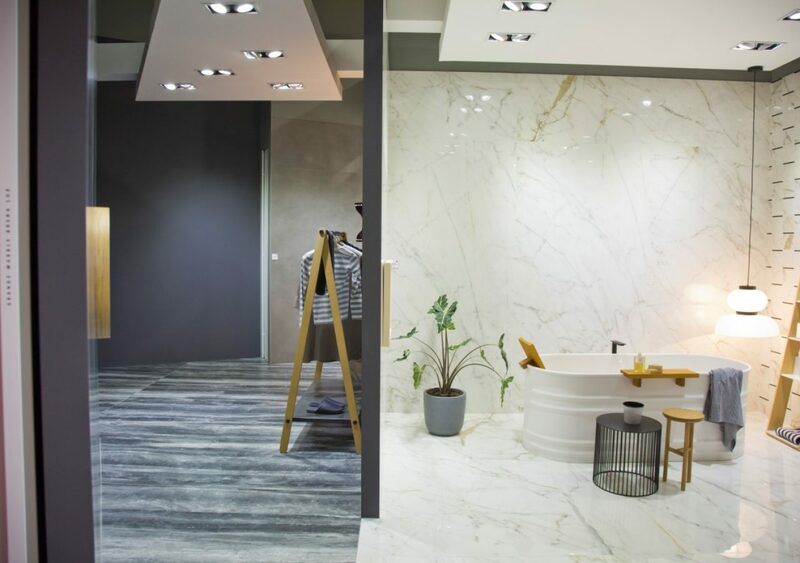 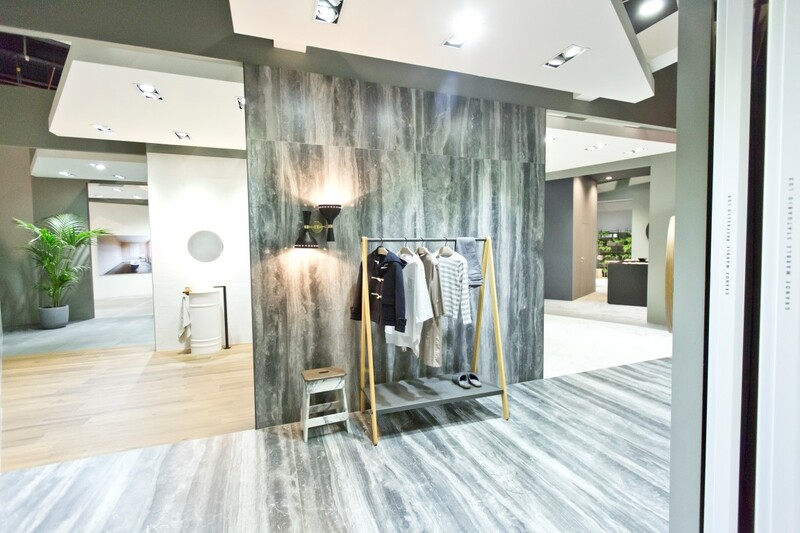 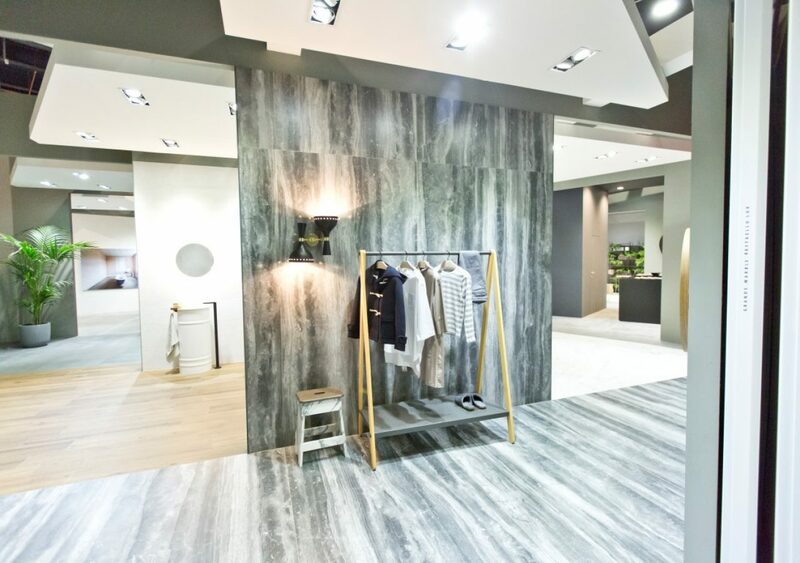 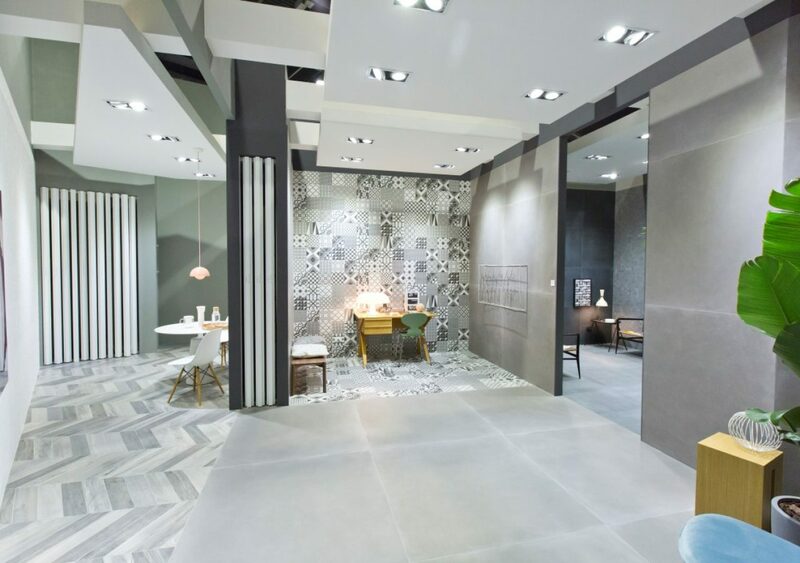 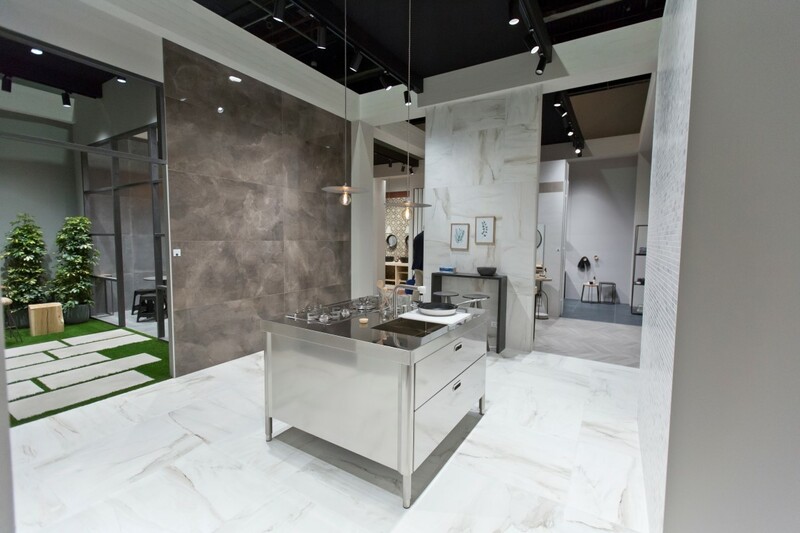 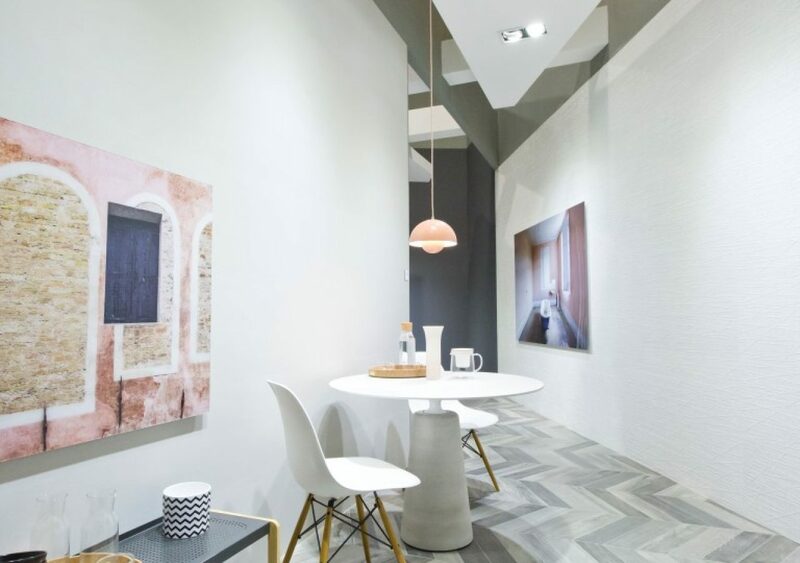 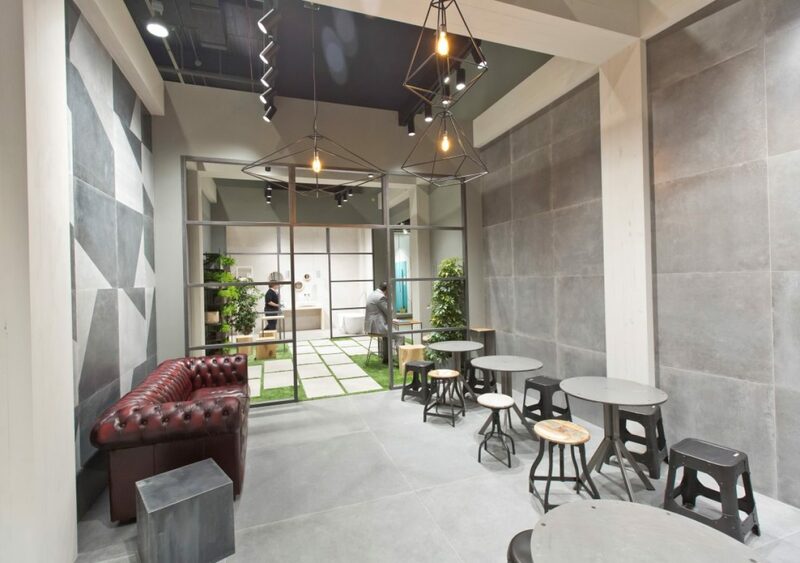 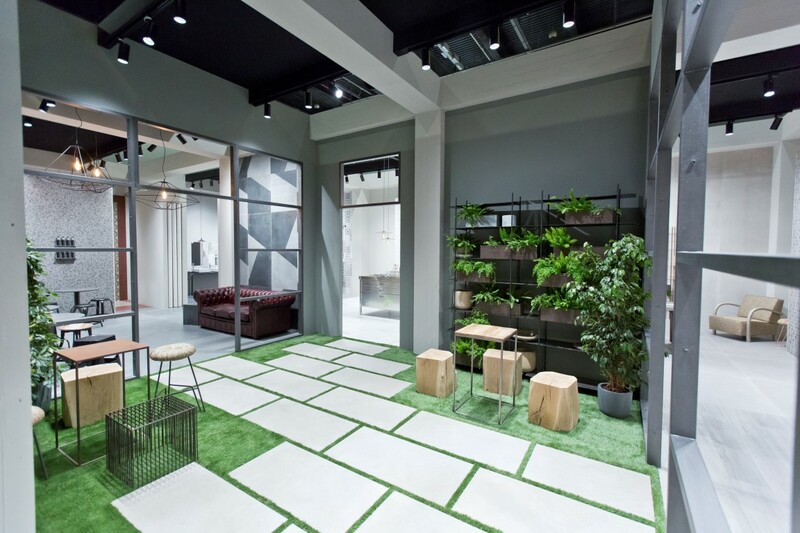 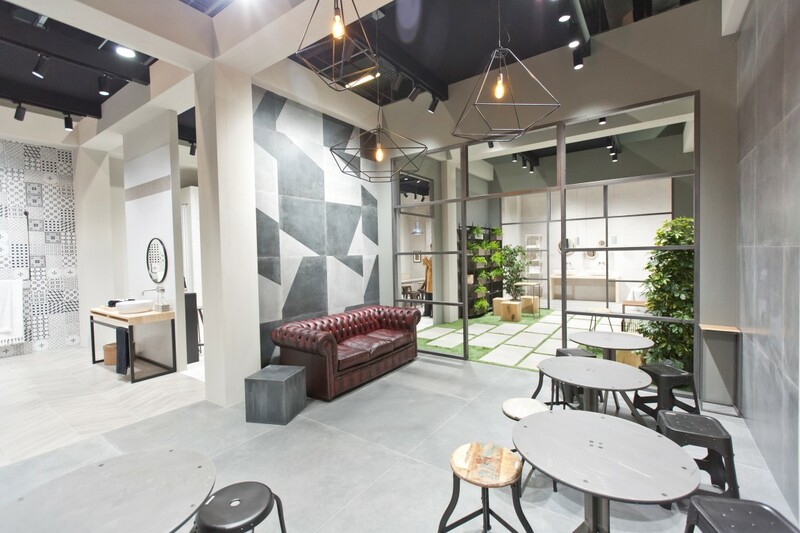 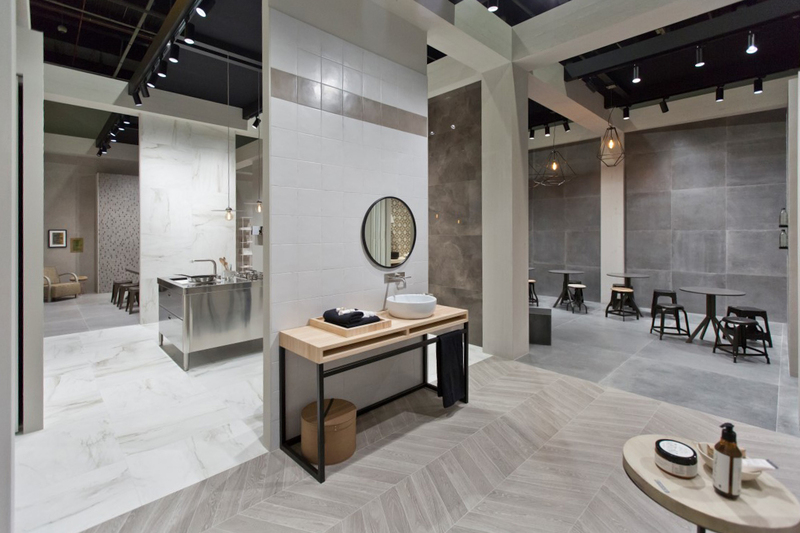 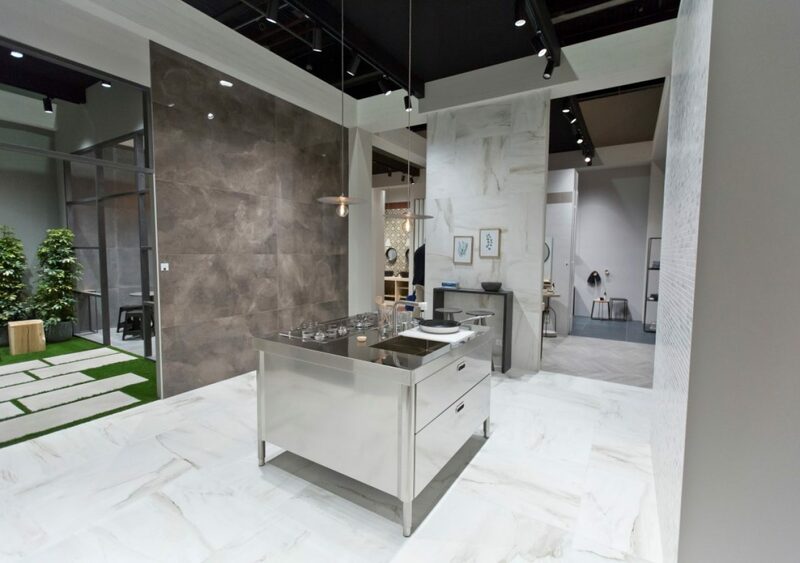 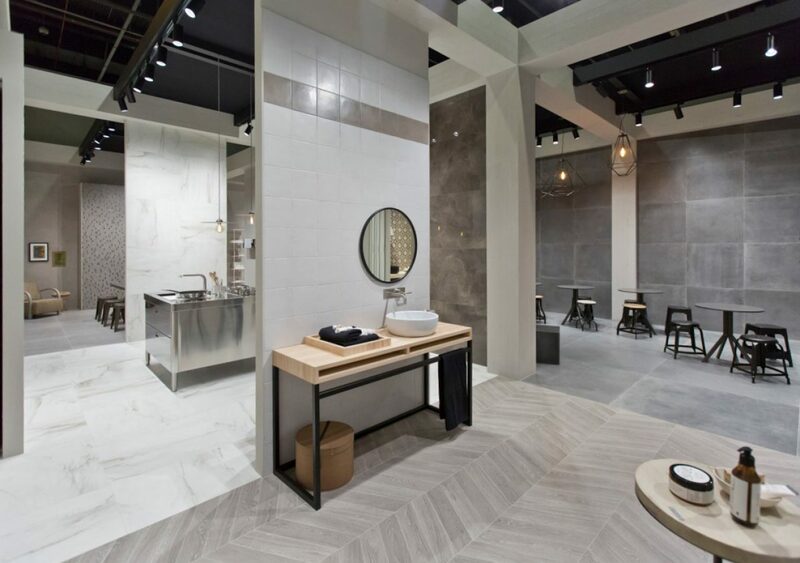 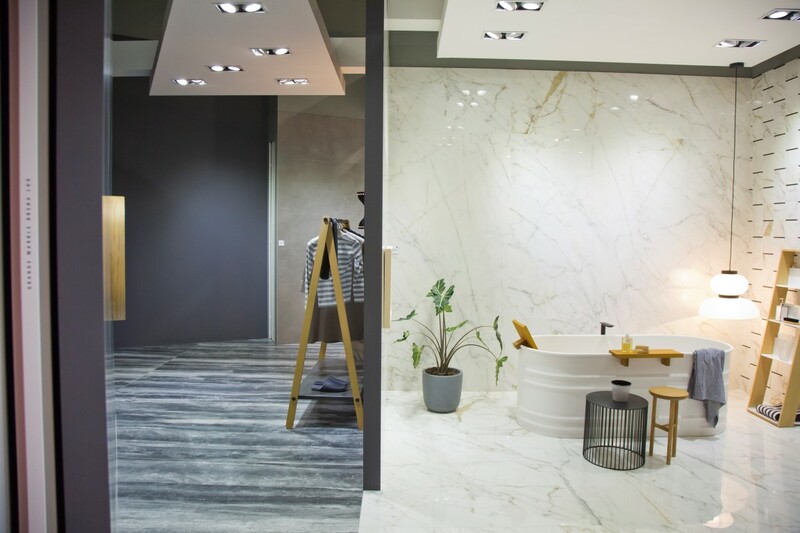 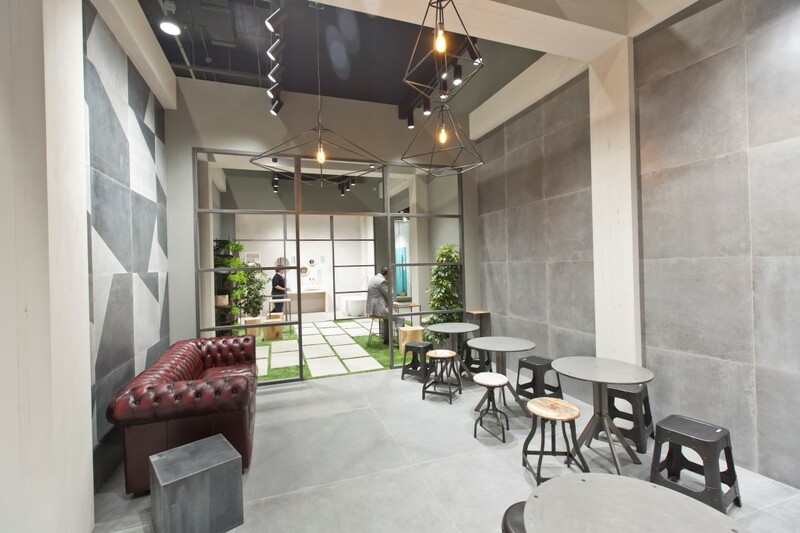 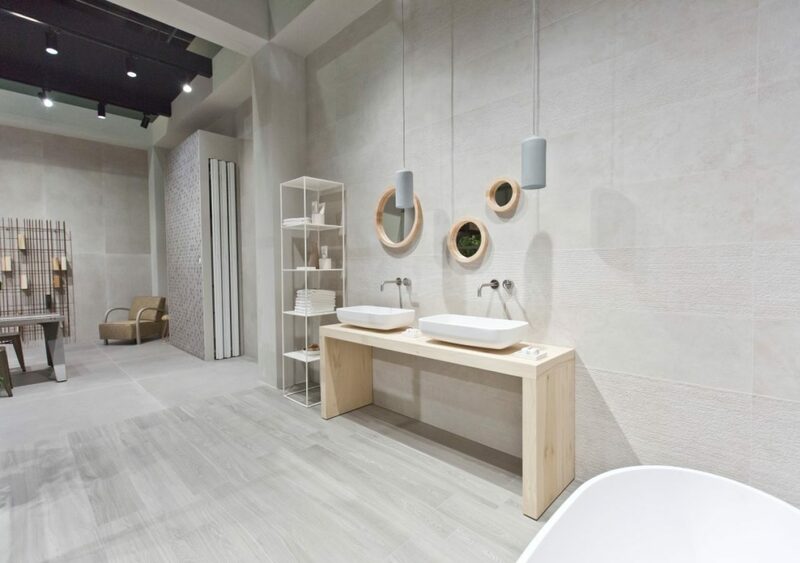 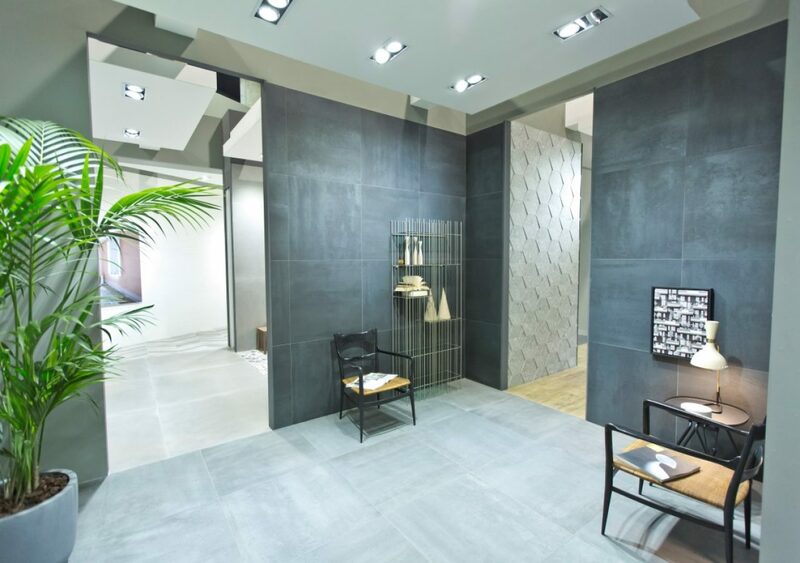 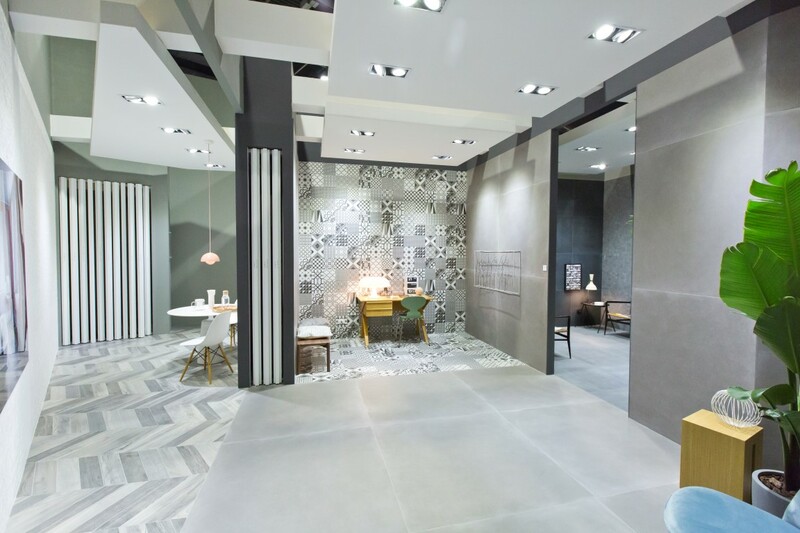 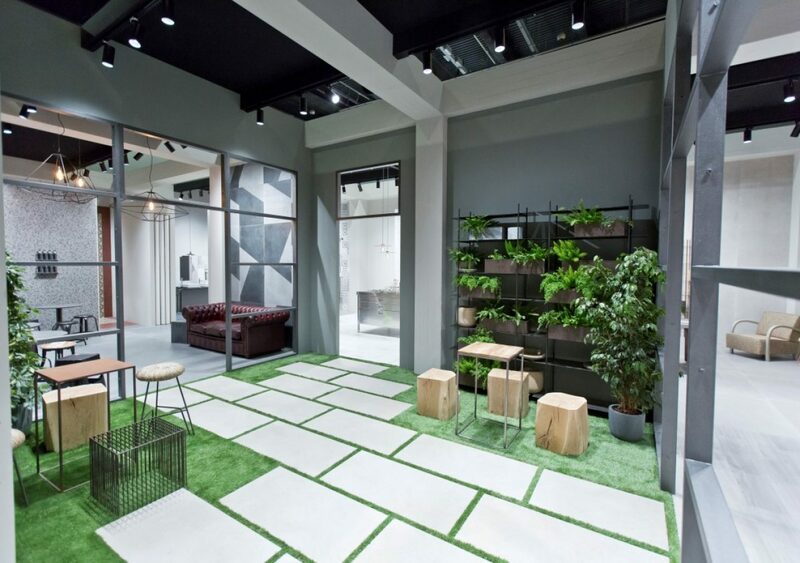 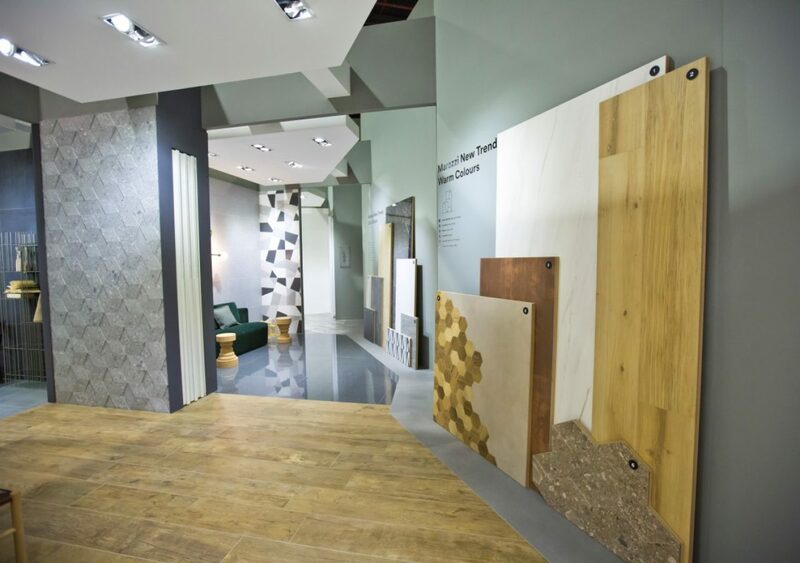 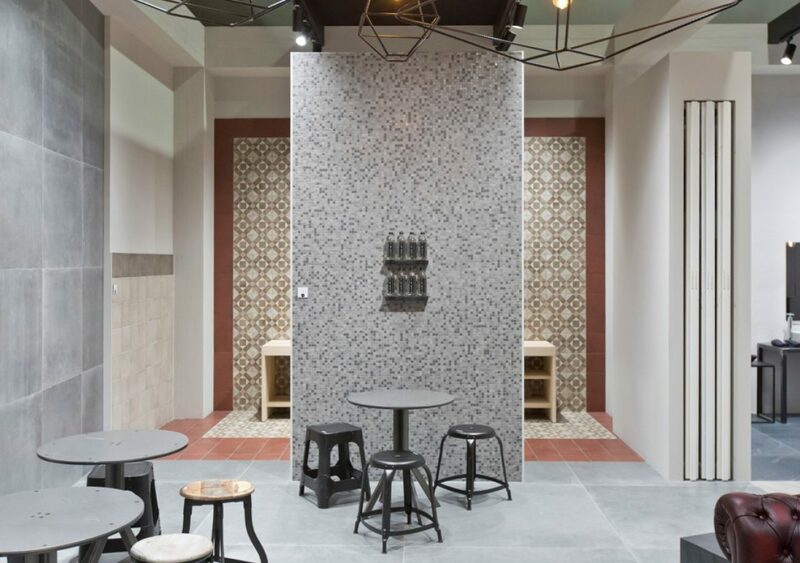 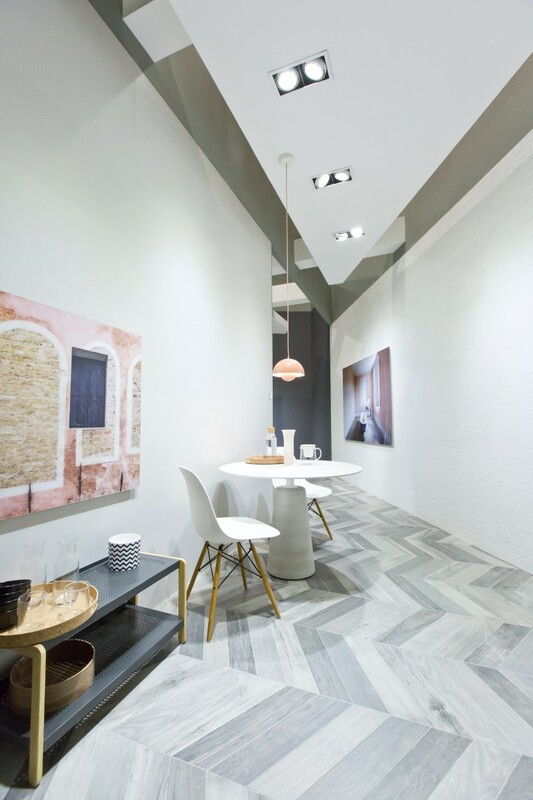 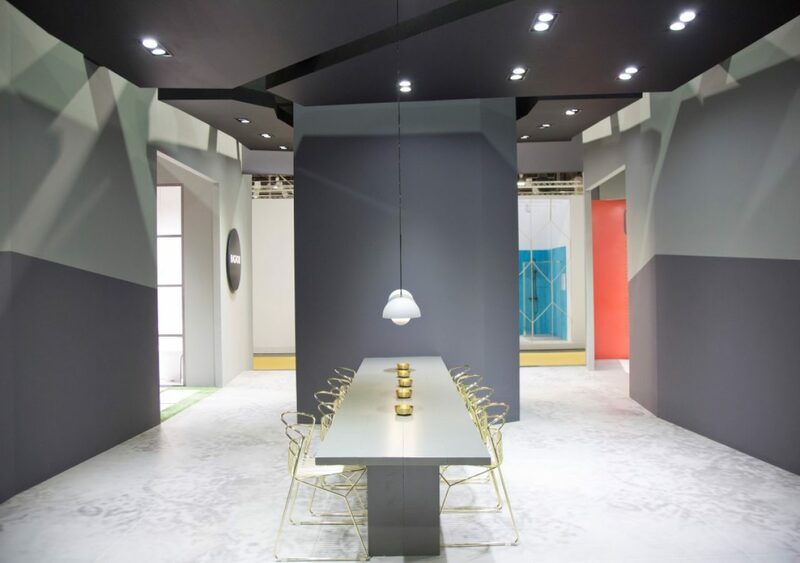 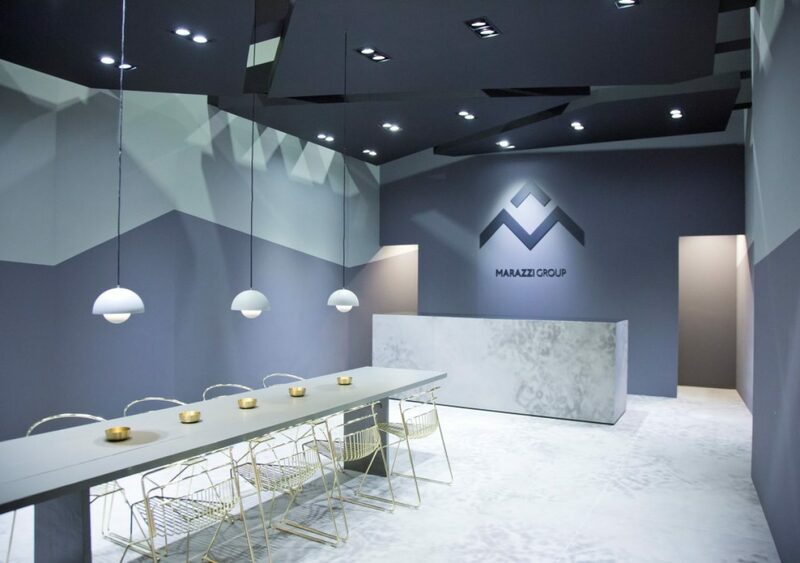 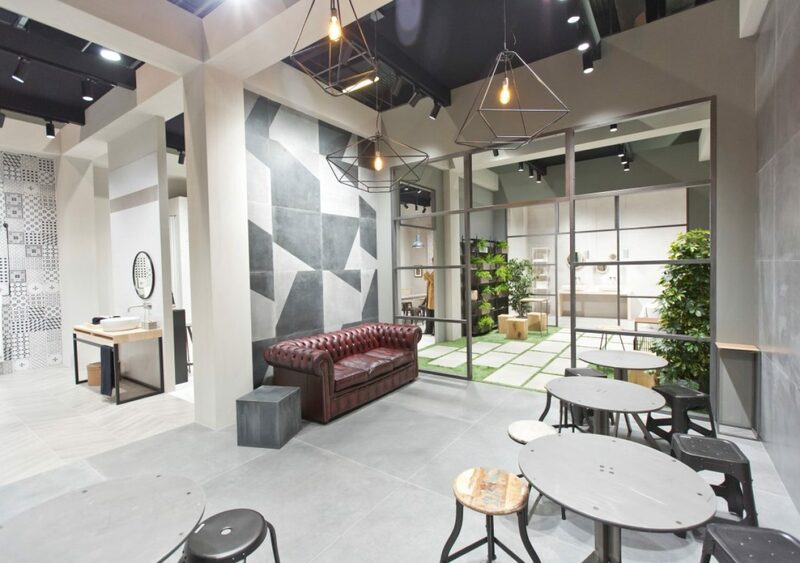 Marazzi Group proposes itself with its bigger brands: Marazzi and Ragno, the architectural spaces have been defined and connected by the central part which is actually the primordial cave and at the same time the access filter to both. 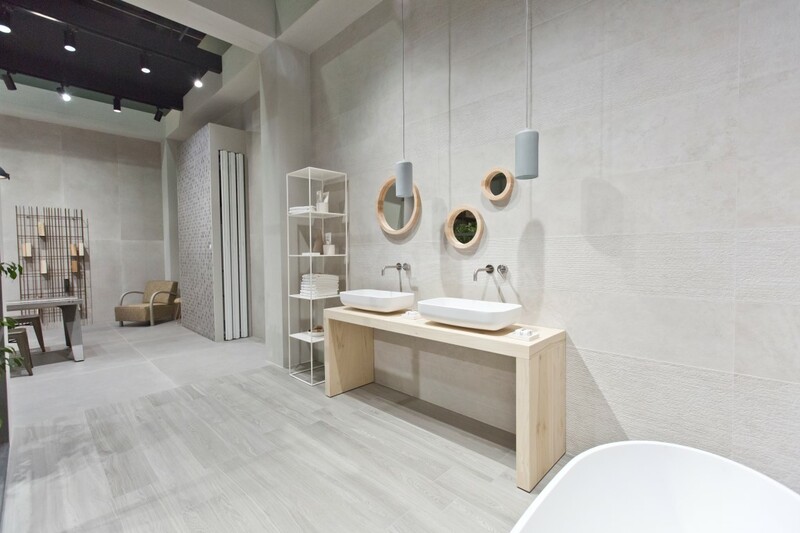 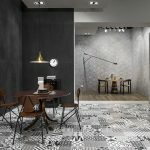 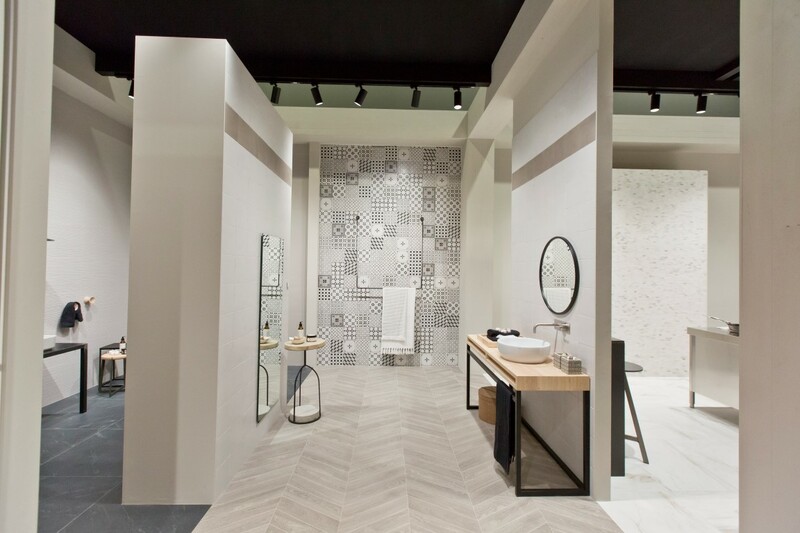 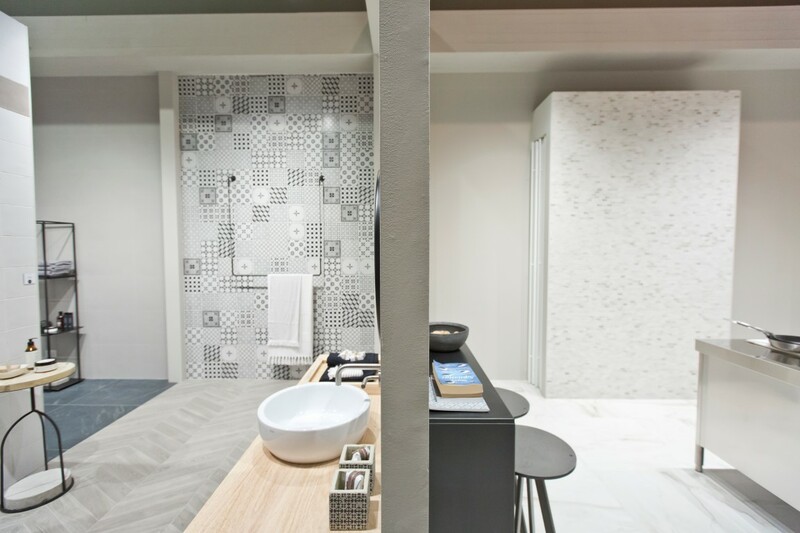 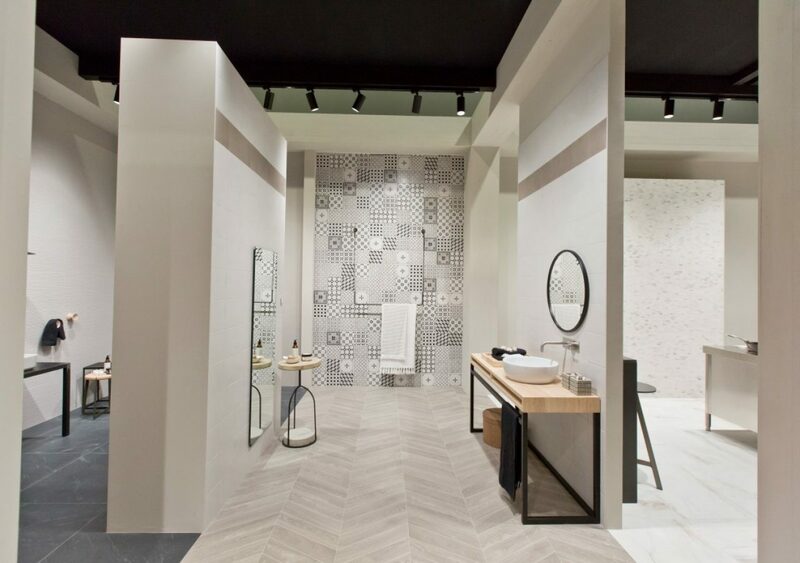 Marazzi’s distribution of space in the world is smooth and elegant with a parallel subdivision, which delineate spaces in which the new ceramic collections are presented, with different sizes from micro mosaic tiles and the macro over sized slabs. 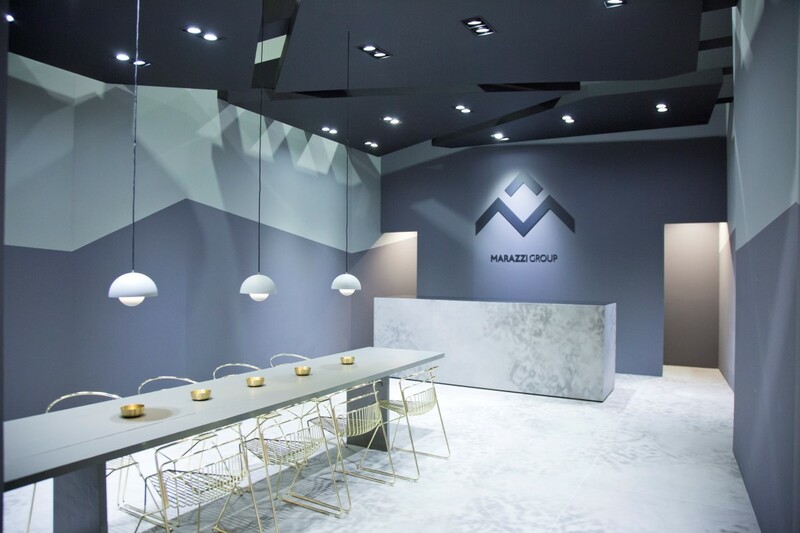 The central space of the primordial cave is characterized by neutral coloring, which, thanks to the irregularity of the two vertical walls, welcomes the visitor in a atmosphere of shadows and lights that define emotions. 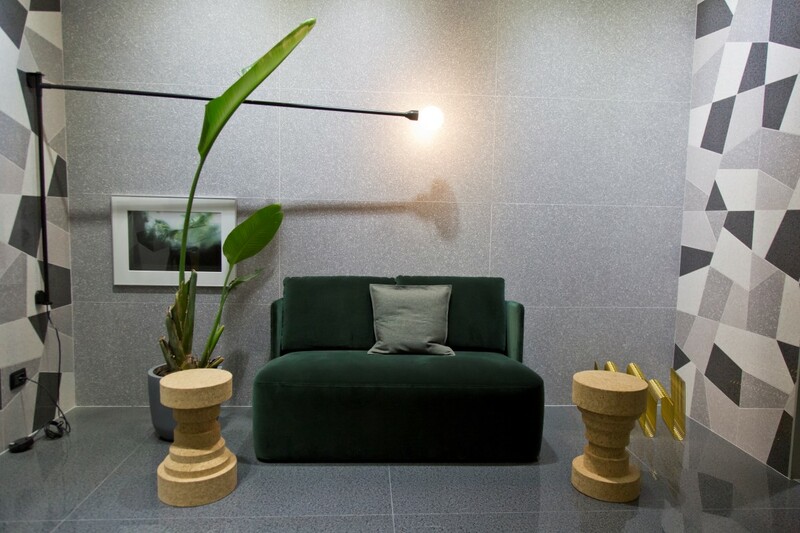 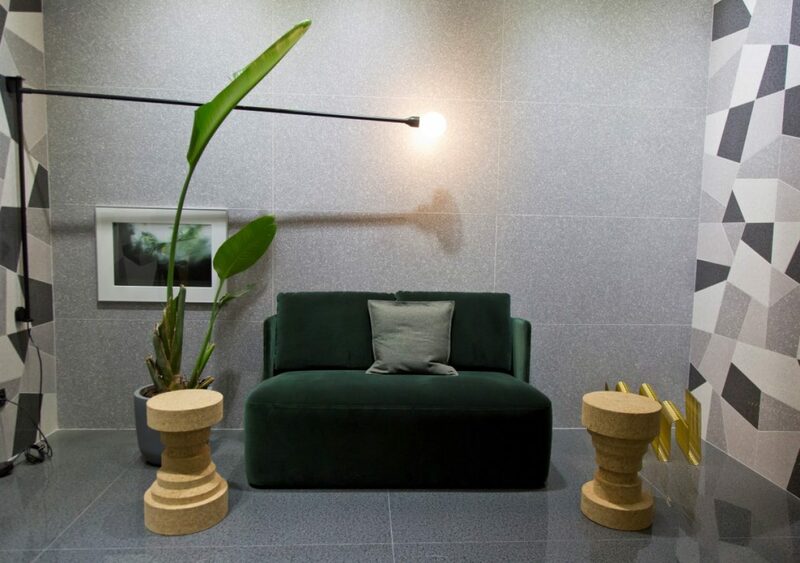 The Ragno space, with a re-reading of the industrial world, severe and rational, within the furnishings and the dynamism of the style, defines a new way of Home with vital and welcoming mood where the new collections find their place and generate interesting reinterpretations.